Sherlock Gift Tags Have Arrived, John! to say Thank You for your support of both Sherlock Holmes and this site. 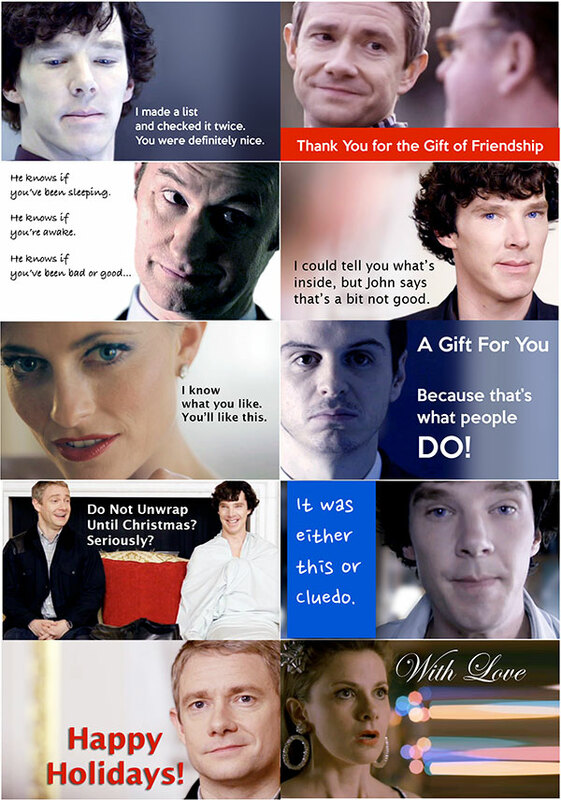 Click on the image below or this link to download a set of 10 gift tags featuring characters from BBC Sherlock (sorry I’ll work on the other versions). The tags were designed to to be printed on Avery micro-perfed business card paper, but can be printed on any card stock and cut apart if preferred. This entry was posted in Captions, Other and tagged bbc sherlock, benedict cumberbatch, fan art, fandom, irene adler, john watson, martin freeman, Molly Hooper, Moriarty, Sherlock Holmes on December 5, 2012 by JH Watson.